According to the Swiss government, the nation has 100,000 cubic metres of nuclear waste, enough to fill the main hall of Zurich’s train station, said Roman Mayer of the Federal Energy Office in an interview with RTS. Most of this waste came from nuclear power stations. Smaller quantities were produced by medicine, industry and research. The most radioactive material will remain harmful to humans for one million years so the country must find safe places to store it. The government is currently researching three locations to store it deep underground in rock, facilities known as a deep geologic repositories. 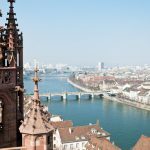 Possible locations have been whittled down to three in the cantons of Aargau, Thurgau and Zurich. Their more precise locations are shown on this map. 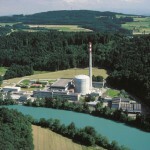 The most highly radioactive material would be stored at Zürich Nordost site. Many other locations have been considered. Until recently six were being studied. 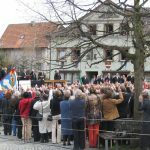 Over the years there has been local protest and resistance, for example in Ollon, Vaud in the 1980s, and more recently in Nidwalden and Schaffhausen. The one-million-year life of some nuclear waste presents several challenges to storage facility designers. One is choosing locations where the rock will remain stable. Future glaciation could deform it, the time span is so great. Ensuring humans one million years out can understand our warning symbols and writing is another. Final storage facilities will not be built before 2045, and if necessary Swiss voters will get a say. 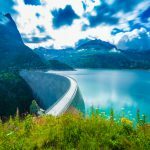 Swiss fact: 90 percent of Swiss electricity came from hydro in 1970. Now it’s only 60.